Three new features and a few bug fixes are included in this release. Added a Monthly Periodic Order Grouping logic group orders within a calendar month. This feature groups all suggested orders within a calendar month in order to follow a strict calendar planning cycle. Additional information is provided in the article Time Fence Settings. Please contact support to enable this feature on your account. In addition, with the release of the new Plex integration, we have changed the name of Plex Job Reverse ETL menu item to "Plex Order Creation Log" in order to capture all order types that are created. This is unique to Plex users. Please contact your CSM to enable this feature on your account. 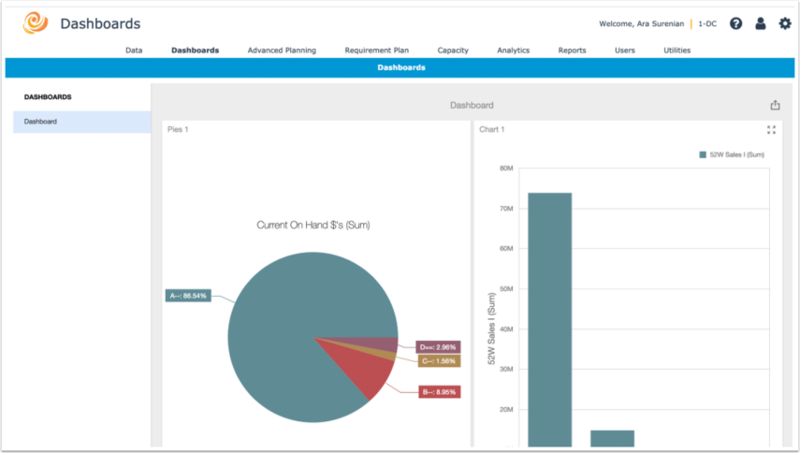 The new DemandCaster dashboard is a highly configurable dashboard application that allows users to create their own dashboards and export them as PDF's or Excels. The initial release provides the data found in the analytics as a start. Additional data sets will be added as they become available. Additional information and instructions will be added to the Reports section of DemandCaster's support documentation. Fixed an issue where a user deletes an item and it is not removed from the demand planning hierarchy. Fixed an issue where the incorrect safety stock type is shown when downloading in reports. Fixed an issue where the Order Point Analytic was not reflecting the correct Safety stock historical time frame.